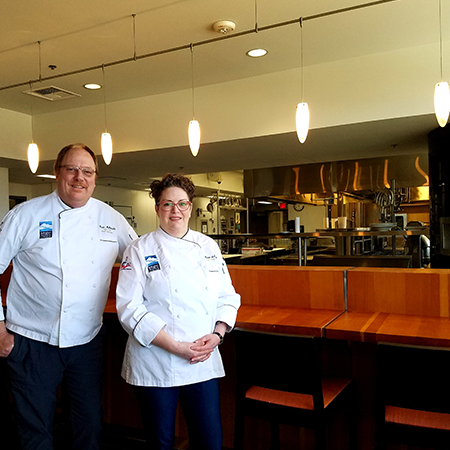 Many are familiar with Bellingham Technical College’s (BTC) Culinary Arts Program, but few know about the three distinct dining options on campus that serve both the public and our larger community. Turns out, BTC is a Bellingham gem that is serving affordable and delicious local fare for a good cause! Every year, aspiring chefs and pastry artists sign up to pursue an Associates of Applied Science in Culinary Arts in order to gain the skills and training necessary to begin pursuing a culinary career. 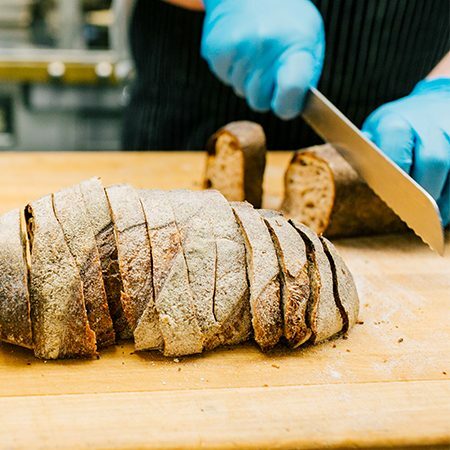 BTC’s program focuses on fine dining but also gives students a solid foundation where they learn how to cook almost everything from scratch: broths, breads, sauces, and more. The degree hones student’s experience in all areas of restaurant life and requires them to host, serve, cook, and be the clean-up crew. Understanding food safety takes top priority, and business classes provide the nuts and bolts of how to run a kitchen and manage staff. In addition, they do one more thing that is quite special, they work to provide students a holistic understanding of the food system. Instructors teach on diverse topics, everything from sustainable seafood to GMOs, and how and why you’d want to source locally. 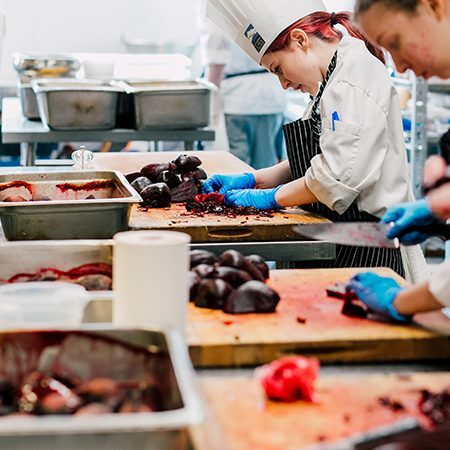 Lessons are then taken from the classroom and into the kitchen, both at BTC and out in the real world where students intern with a variety of local food businesses. 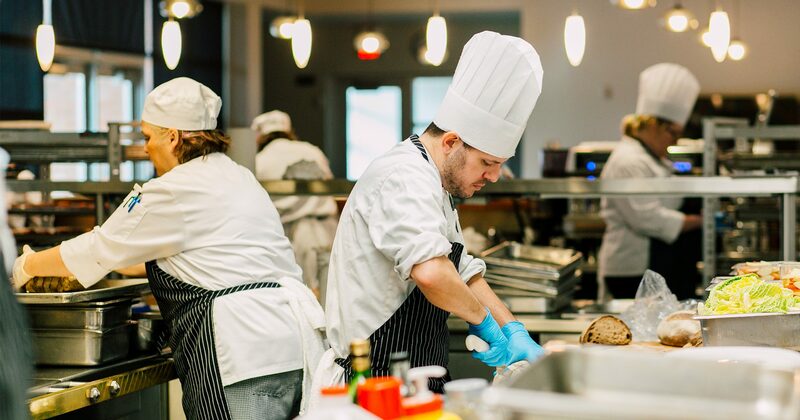 On campus, they offer three different dining venues that equip students with a wide variety of cooking experience: Winter International Buffets, Café Culinaire, and Café Culinaire To-Go. Instructors and head chefs Brian McDonald and Maria deCorpo took us on a tour of Café Culinaire below! Each spot highlights a different type of cuisine but they all prioritize sourcing fresh food from a number of local vendors including Nerka Salmon, Fresh Breeze Dairy, Ferndale Farmstead, and the Puget Sound Food Hub. 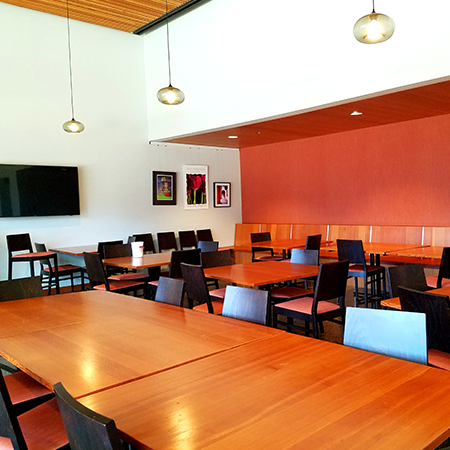 During Spring Quarter the college opens Café Culinaire Thursdays and Fridays, by reservation only. Class size dictates how many guests they can cook for but cook they do! 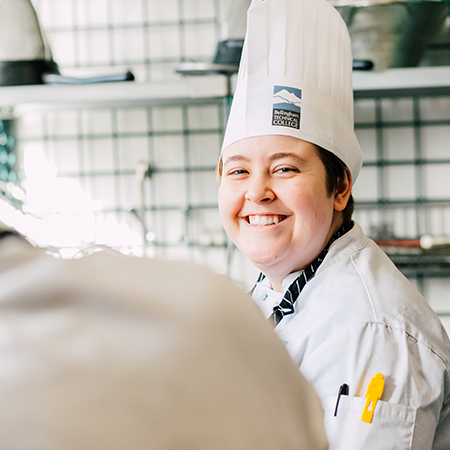 The students that run the café are in their final quarter and practice bringing together everything they’ve learned to create an exquisite lunch experience. 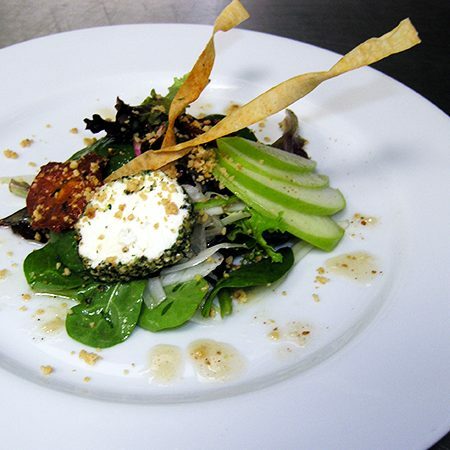 The Café aims to create a fine dining experience that focuses on Pacific Northwest cuisine. 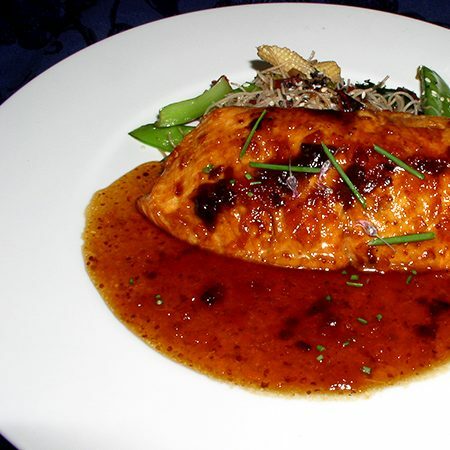 Some of the things you may see on the menu include cedar planked salmon, woodstone pizza, and pan Asian dishes that give a taste of the wonderful fusion cuisine our region is well known for. Watch students in the open exhibition kitchen as they craft each dish with passion and precision. Reservations for Café Culinaire begin online April 4th and generally sell out fast! If you happen to miss the opportunity, there is another option! First-year students serve American regional cuisine from a window in the cafeteria Tuesday through Friday from 11:00 to 12:30. This fast, casual, and affordable lunch travels all around the United States: Baja fish tacos from California, BBQ from Kansas City and the Carolinas, Johnny cakes from New England, and Colorado lamb from the Rocky Mountains. The menu changes every week, so there is always something new and exciting. No need for reservations, all are welcome to head over whenever they’d like! 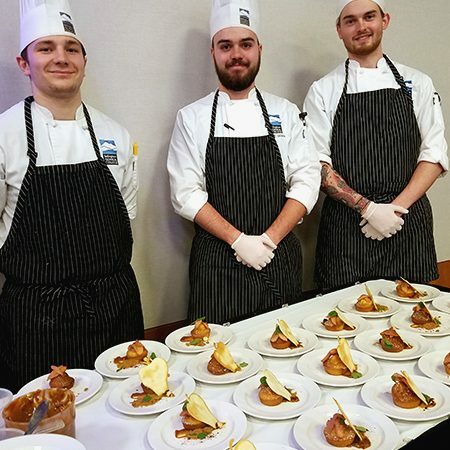 Finally, for a mouthwatering Winter, travel the world with culinary students as they serve up international buffets every Friday in the Café Culinaire dining room. Each week the menu moves to a different part of the globe where students learn traditional techniques to create dishes that give as accurate a portrayal as possible of traditional fare from places such as the Mediterranean, East India, Italy, or Northern Europe. Each buffet showcases classic examples of the chosen cuisine. For example, the French buffet would include dishes like Quiche Lorraine and Beouf Bourguignon. They also serve handmade bread and desserts from each region, Crepe Suzette, and tarte Tatin for example. Reservations are needed for the International Buffets so keep your eyes on their website as we get closer to Winter Quarter (January 2020) for more information. By dining with BTC you support the next generation of chefs and food enthusiasts. All tips go directly to the Culinary Club which supports scholarships and student events. 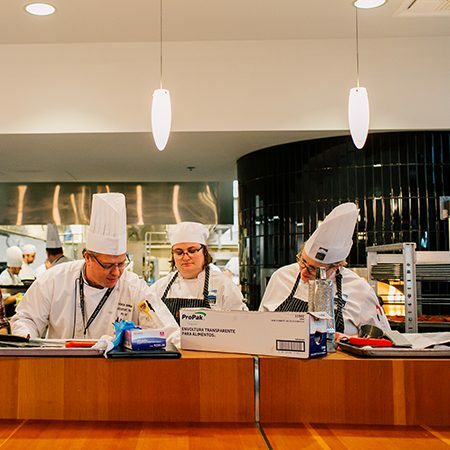 This year some club funds will help students participate in the 2019 American Culinary Federation Culinary Competition on May 4-5! BTC will be hosting this prestigious event and competition will be open for public viewing. BTC student teams have the past honor of winning top awards in the state and have placed highly in regional competitions against schools throughout the West Coast. We hope to see you at Café Culinaire and at the ACF Competition! We are so lucky to have this incredible training program here in Bellingham, don’t miss out on opportunities to support it.